With live music by the Bethune Tiger String Orchestra & Band! 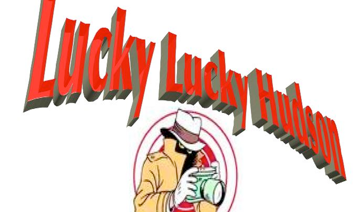 Bethune Elementary School of the Arts proudly presents our annual musical – “Lucky, Lucky Hudson” on Tuesday, May 17th at 7:00 pm at the Broward Center for the Performing Arts; tickets are only $5.00 at the Broward Center in Downtown Ft. Lauderdale. This is an anti-bullying comedy musical that showcases the talented students of the Performing Arts Magnet Program at Bethune Elementary in Hollywood, Florida. According to Ms. Christina LoCastro and Ms. Nerissa Street, the directors of the Bethune Players - the show “is full of laughter, delight and a good dose of bananas! It's a full house of comedy, action and adventure you don't want to miss. Your family will love it!" 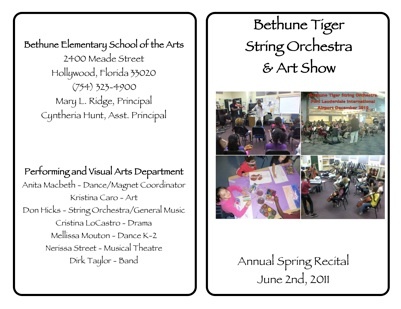 Come out and enjoy this fun and exciting family event that also features Bethune Dancers Express with original choreography by Ms. Anita Macbeth, the Bethune Tiger Strings Orchestra and Bethune Tiger Band who will perform original music composed and directed by Mr. Don Hicks. The Mighty Tiger Artists created scene construction under the leadership of Kristina Caro and Ms. Liza Mascaro is the stage manager.